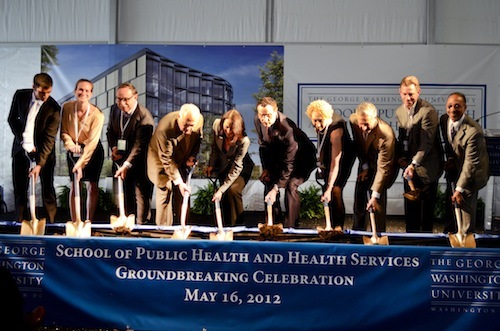 Square 39 is the site for the university’s new home for its Milken Institute School of Public Health. 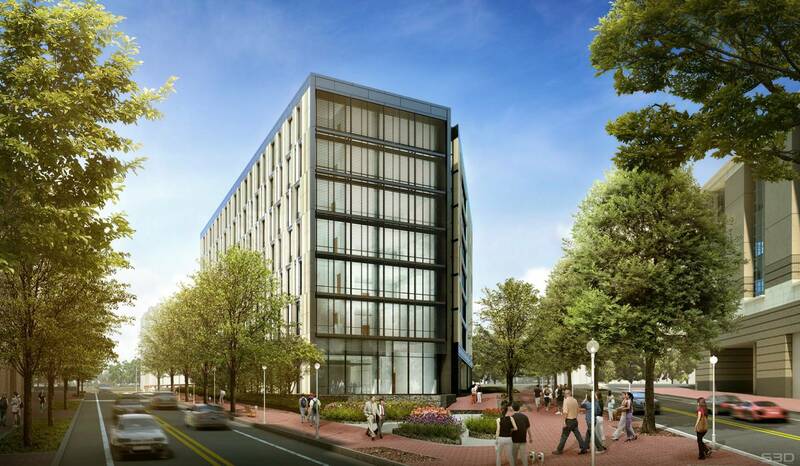 Square 39 is one of the 16 approved development sites in GW’s 2007 Foggy Bottom Campus Plan and is bounded by K Street NW, Washington Circle, New Hampshire Avenue NW, and 24th Street N.W. 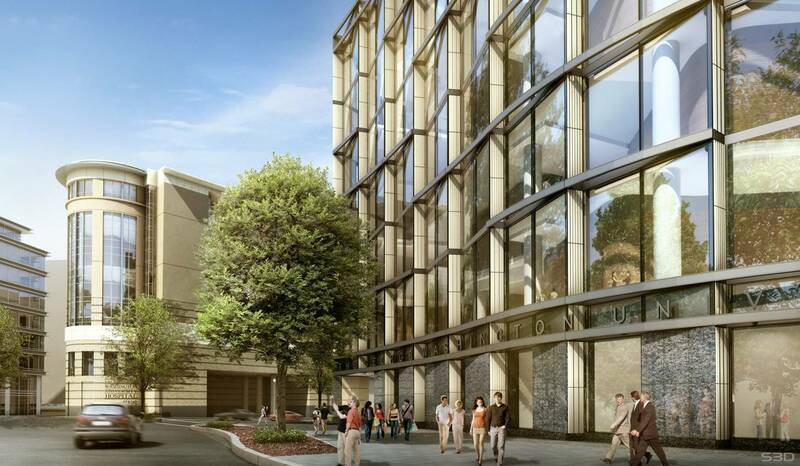 The triangular building faces Washington Circle and provides a new front door to the Foggy Bottom Campus. 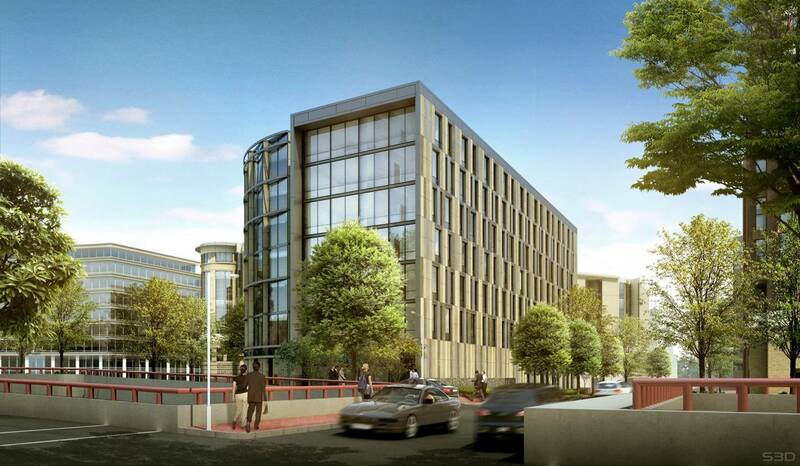 The Warwick Building, previously located on the site, was razed in preparation for the construction. Construction began in March of 2012 and continued through 2013, with occupancy occurring during the spring 2014 semester. The university’s Milken Institute School of Public Health is committed to advancing the health of the populations of local, national, and global communities by developing tomorrow's leaders in public health and health services. Established in July 1997, Milken Institute SPH brought together three longstanding university programs in the schools of medicine, business, and education. Today, more than 900 students from nearly every U.S. state and more than 35 nations pursue undergraduate, graduate, and doctoral-level degrees in public health. The School’s student body is one of the most ethnically diverse among the nation's private schools of public health. Milken Institute School of Public Health also offers an array of joint degree programs, allowing students to couple a law degree with the Master of Public Health (MPH), or to combine an MPH with a medical degree or an MA in International Affairs. A joint MPH/Physician's Assistant program is available, as is the opportunity to serve as a Peace Corps volunteer while pursuing an MPH. 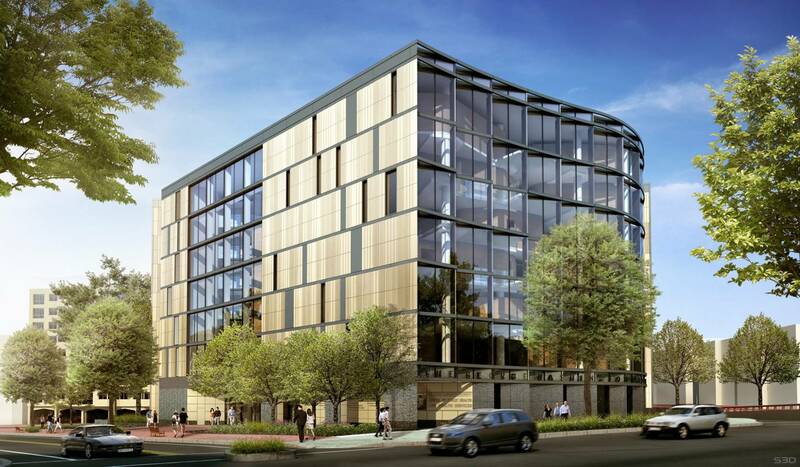 Milken Institute School of Public Health has never had a true “home” and its seven departments currently occupy space in various university buildings and several leased office locations in the nearby Golden Triangle/K Street business corridor. The Square 39 project is consolidating the school’s activities from its disparate locations and create a signature building and singular identity for the school.